Over 50 willing VCs will be gathered under one roof this October 23 and 24 at the Startup-Investor Speed Dating segment in search of startups to invest in, making it the golden opportunity for startups to pitch to and receive potential funding or mentorship. The conference is not to be missed for aspiring entrepreneurs, especially when these five investors are ready for innovative ideas. Many brilliant startups and ideas originate from Silicon Valley, so it is no surprise that Fenox Venture Capital has the technological haven as its roots. With a team of international and seasoned experts, the firm has an impressive portfolio of companies under its belt. Their great foresight and capability has secured them multi-million dollar funds under their management, and they have a transparent and collaborative take on building ideas that propel companies they work with. SMDV has six different business pillars, ranging from agri-business and food, financial services, to energy and infrastructure. Despite such segregation, SMDV stands united in their corporate history, values and excellence. On the communication and technology front, SMDV has played a hand in the first use of 4G LTE in Indonesia. No matter which stage your startup and business is at, ANGIN advises and supports through increased exposure to potential investors and due diligence. With a wealth of knowledge and research abilities, the firm is committed to cultivating an encouraging entrepreneurial ecosystem. 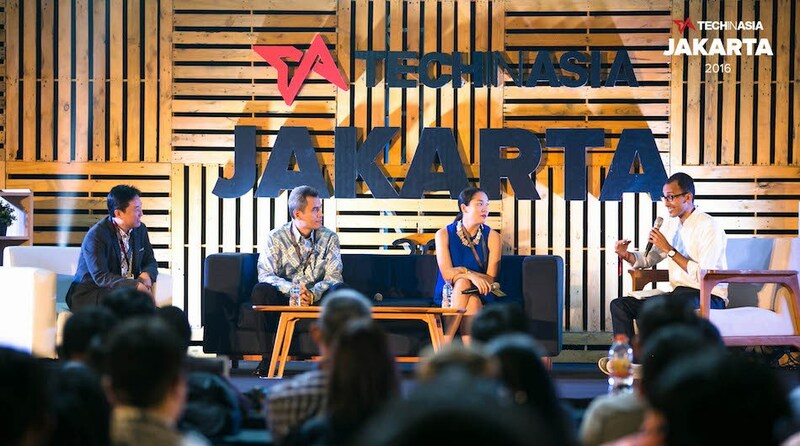 L-R: Andi Boediman, Managing Partner at Ideosource; Plern Tee Suraphongchai, Partner at Venturra Capital; and Eddi Danusaputro, CEO of Mandiri Capital Indonesia chat with Tech in Asia’s David Corbin about venture capital in Southeast Asia at the TIAJKT2016. If you are an aspiring fintech startup, Mandiri Capital Indonesia (MCI) is one investor you should not miss out on. Tied to Indonesia’s largest financial institution, Bank Mandiri, investees would not only be able to have access to funds but also be guided by seasoned experts with impeccable business acumen. With a team of experts with years of technical expertise, Sovereign’s Capital has accumulated an impressive portfolio of companies from various industrial fields, with Grab being one of them. They are currently exploring great innovations and rising startups in SEA. Its wide network and experienced teams can help to steer your business to the right direction and increase exposure beyond the region. Getting funding opportunities on your own can be daunting, but Tech in Asia Jakarta 2018 provides the avenue that will allow you to connect with potential investors who can give a leg up for your business. Want a chance to tie up with them to bring your innovation to the next level? To participate in Speed Dating, all you’ll need is a conference pass. From now till September 16, simply use the code tiajkt15 to score 15 percent off (up to USD82) your tickets. You’ll also be able to gain insights from tech leaders, meet 300 promising startups exhibiting at Startup Factory, and connect with over 5,000 attendees – the opportunities are endless.